"One of the finest heritage hotels in the city, Pal Haveli is well known for providing modern luxurious stay and warm hospitality to its guests. 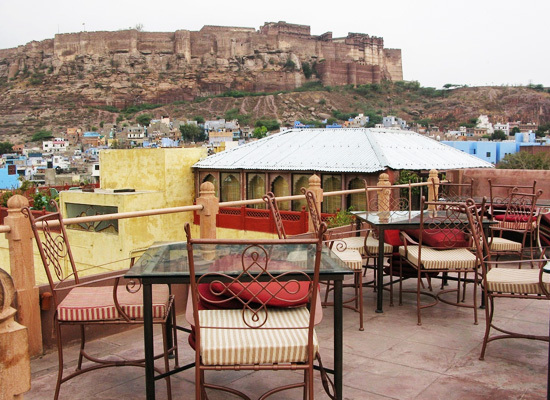 Being located near the invincible Mehrangarh Fort, it is also one of the most sought after heritage hotels in the city. The historical mansion of Pal Haveli in Jodhpur dates back to 300 years. During the early 19th century Thakur Umaid Karanji accompanied Maharaja Takhat Singh from Idar in Gujarat to Jodhpur as the new Maharaja of the Blu City. In lieu of services rendered to the majesty, Thakur was awarded the title of Pal. The Family of the Pal was offered the regal residence, which till date belongs to the family. Pal Haveli was converted into a hotel 3 years back. The hotel maintains is home-like ambiance. The royal mansion was created with numerous luxuries and till date the opulence of the house is preserved. 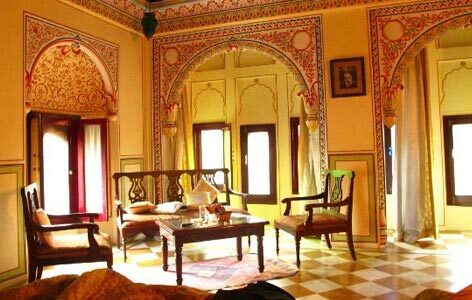 Offering 21 well furnished and well decorated rooms and suites, accommodation in Pal Haveli is something to look forward to while on your stay here. 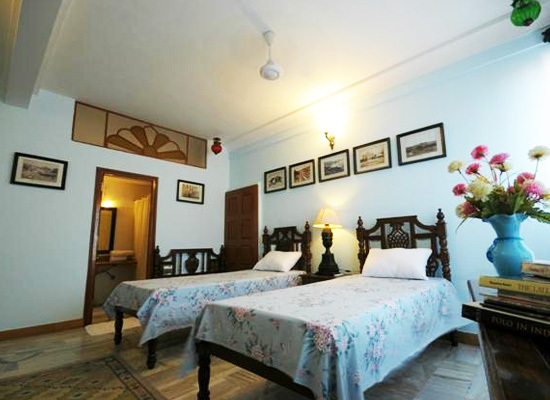 The rooms in Pal Haveli are spacious and elegantly decorated in royal style giving you a feel of the bygone era. Besides, the rooms are well facilitated with modern amenities making the stay of its guests comfortable. 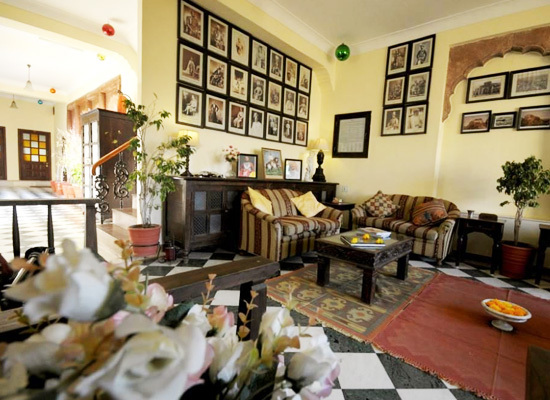 The Pal Haveli offers a homely ambiance. Guests are treated to 3 delectable dining options. The cuisine served is purely local fare, cooked in traditional variety of spices. Most of the recipes were family secret of the Pal for years. 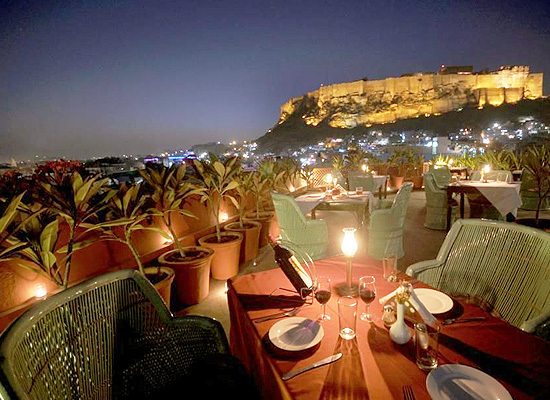 The open air terrace restaurant offers splendid views of the city of Jodhpur. The main tourist attraction of Blue City, the Umaid Bhawan palace, the Mehrangarh Fort, the Jaswant Thada, Clock Tower and the Gulab Sagar are available for views at no extra cost The ambiance is soothing and the food is extremely delicious. The indoor restaurant offers a homely experience. Sit in comfort and savor some great food of the region. Open air dinning space but on a lower level, Daudi used to be the 'Zenena' or the ladies' courtyard. Enjoy the delectable fare in the comfy setting. The watering hole of the Haveli offers a range of drinks according to your preferences. Also known as the Blue City, Jodhpur in the Rajasthan state of India is one of the major tourist destinations of India. Known for its forts, palaces and temples, Jodhpur is visited by large number of tourists every year.